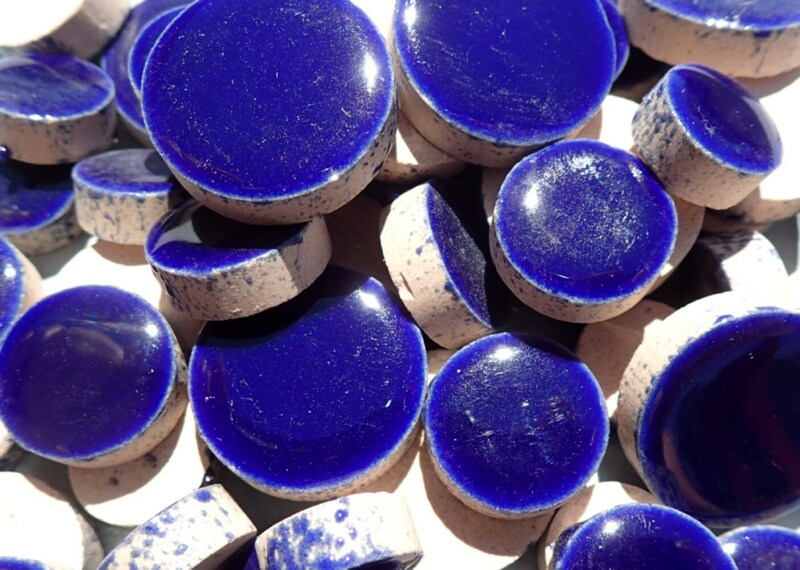 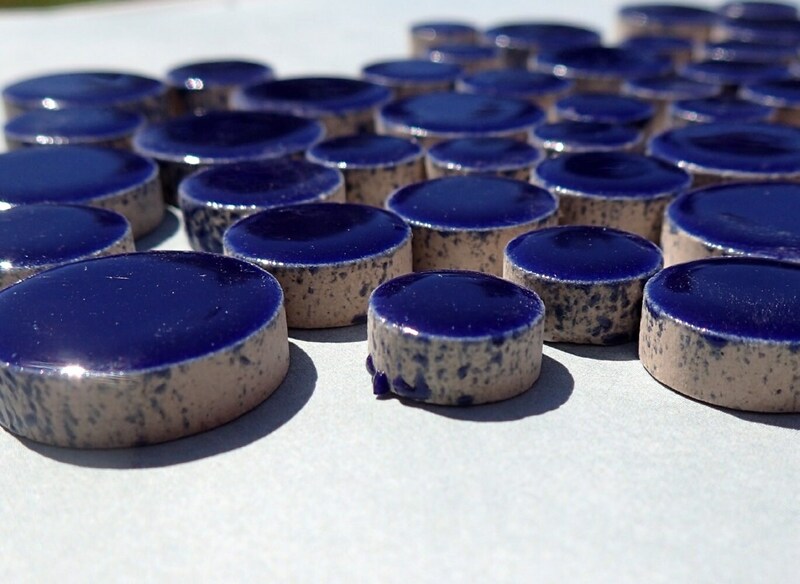 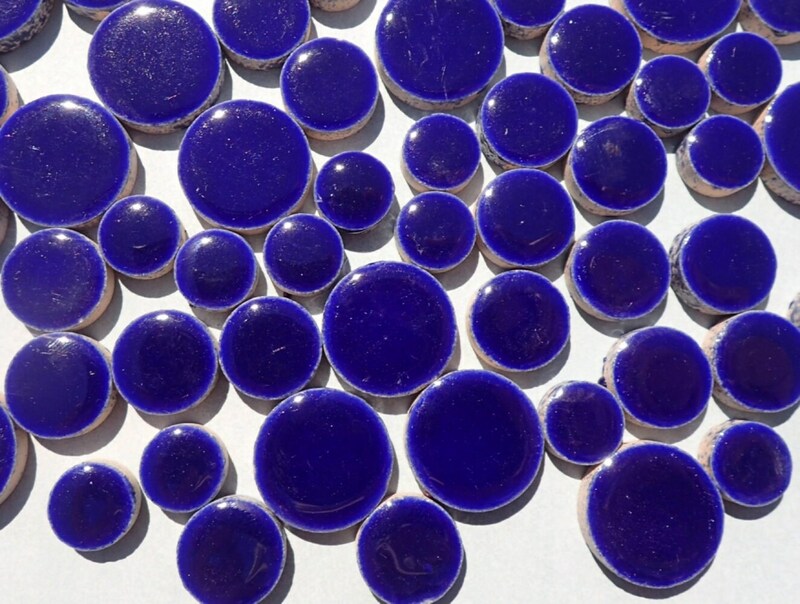 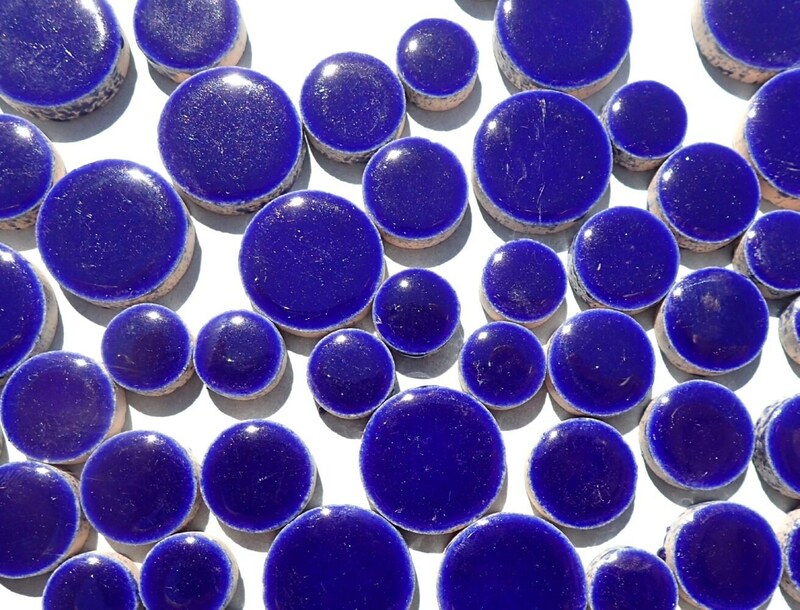 Dark Blue Circles Mosaic Tiles - 50g Ceramic in Mix of 3 Sizes 1/2" and 3/4" and 5/8"
Circles add lots of personality to mosaics. 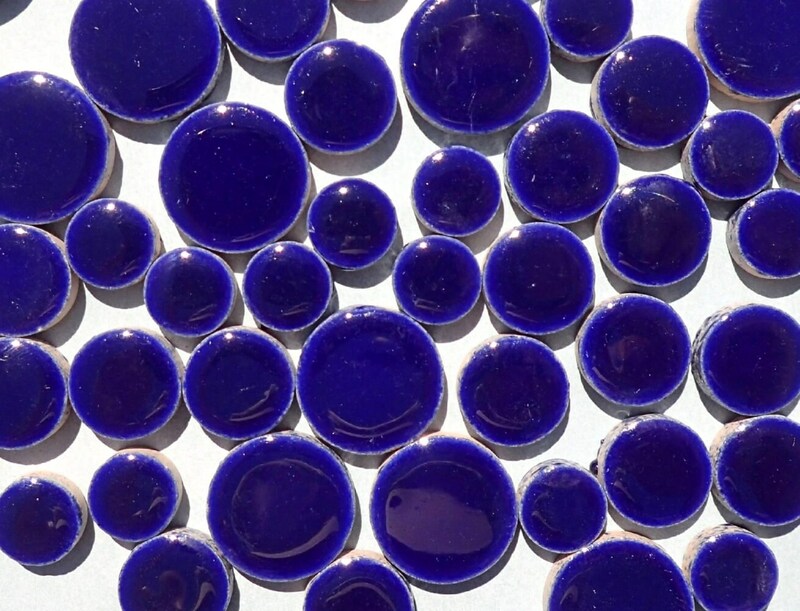 The mix of these sizes also makes fun patterns. 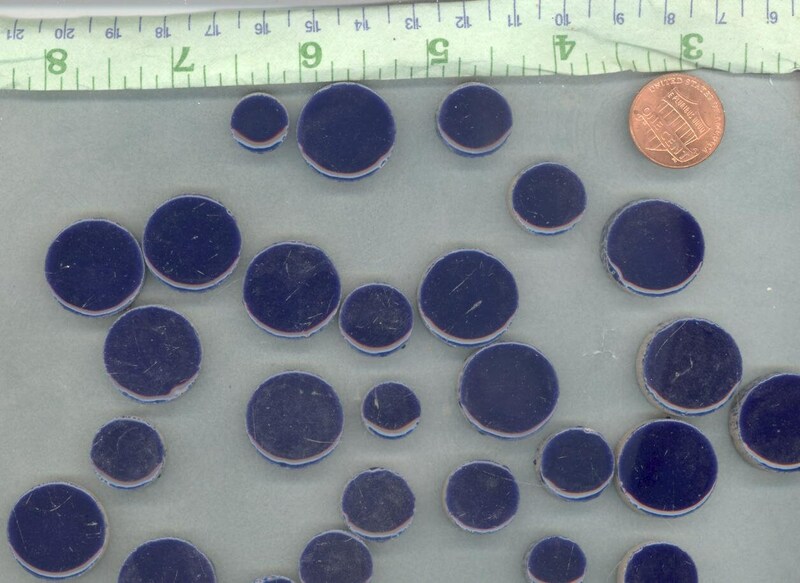 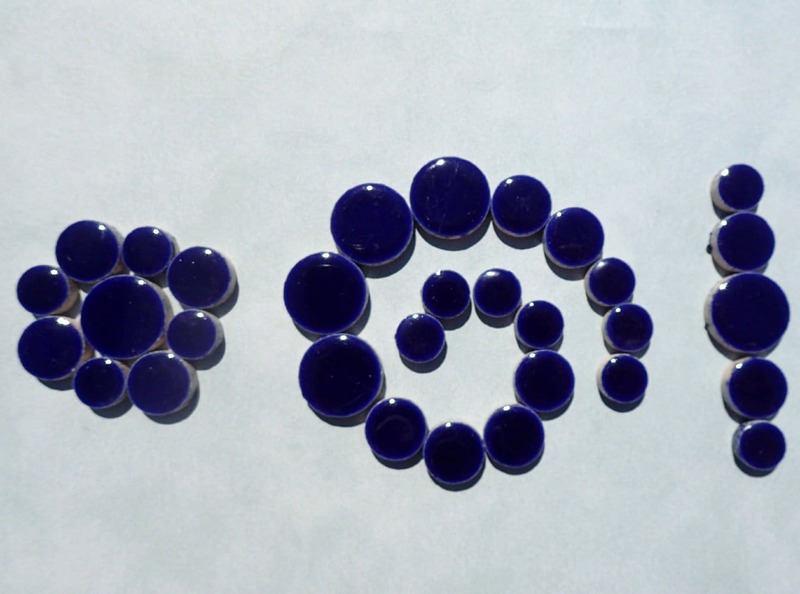 These circles are in a deep indigo blue.